She is a little native girl from Brazil. 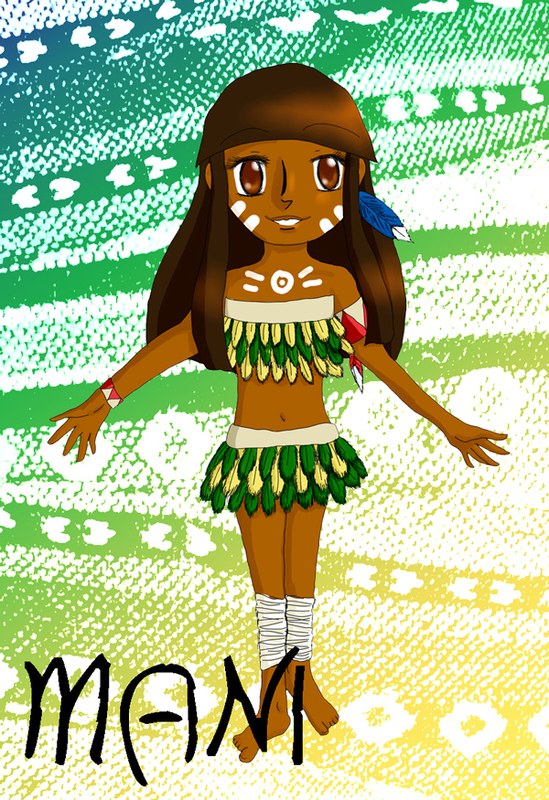 Her name means “mandioca”, “cassava” and is a tupi-guarani goddess of this food (it´s a sad story). Her item is a shuttlecock (peteca), a typical brazilian native’s toy. She doesn’t have a genderbend.